This post is specifically for La Scala’s famous chopped salad. 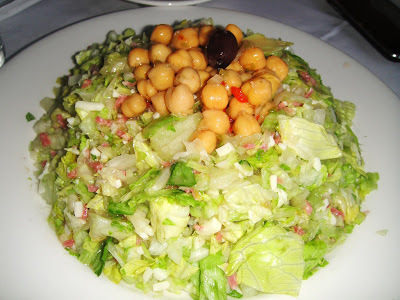 When people talk about La Scala, you most likely will always hear about the chopped salad. It’s light, refreshing, flavorful and perfect. The dressing is light and has a lemon citrus flavor. All the ingredients just work together very nicely. I love that it’s light and crisp tasting but it still fills you up. La Scala is just an all around trendy Italian restaurant in LA- there is one in Beverly Hills and one in Brentwood. Another dish they are famous for is their Spaghetti Bolognese. We ordered the Ravioli Di Aragosta which is their lobster ravioli which was great too. It doesn’t look there was any sauce but there was. It was a clear brown butter sauce and it was so flavorful. The outer edges of the pasta had a crisp to them and the lobster inside was creamy and melted in your mouth. Nice texture and flavor.Great dish! 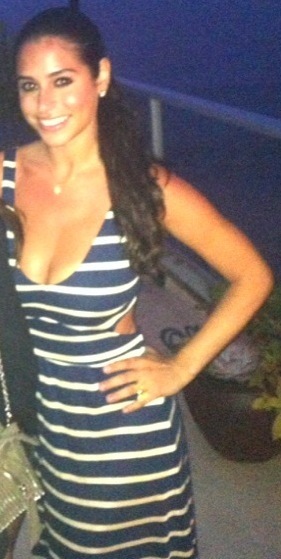 ME GOING TO DINNER AT LA SCALA!